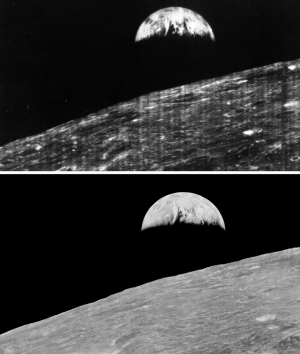 comparison of the original Earthrise image as seen by the public in 1966 and the restored image released in 2008Interesting article from Wired on the recovery of forgotten images from the 1966 Lunar Orbiter 1 mission. The images were taken from a probe orbiting the moon and contain images of the surface of the moon and distant Earth including the first high resolution photographs ever taken from behind the lunar horizon of an Earthrise. The images were recovered from analog data tapes at NASA Ames and have not been seen publicly since the original data from the mission was received in the late 1960s and never at such high resolution. The historical images of Earth are now being used to fill in gaps about Earth's climate in the 1960s. For the full story click here. Low earth orbitOrbital debris, or “space junk,” is any man-made object in orbit around the Earth that no longer serves a useful purpose. To minimize the risk of collision between spacecraft and space junk, the U.S. Space Surveillance Network tracks all debris larger than 10 centimeters. These images represent all man-made objects, both functioning and useful objects and debris, currently being tracked. 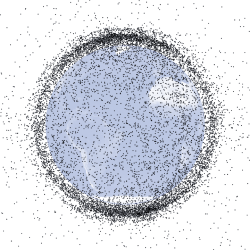 Though the black dots that represent objects in space swarm around the Earth, obscuring the surface in the lower image, the space junk situation is not as dire as it may appear. The dots are not to scale, and space is a very big place. Collisions between large objects are fairly rare. The orbit of each piece is well known. 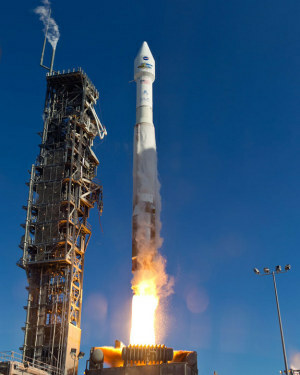 If any debris comes into the path of an operating NASA satellite, flight controllers will maneuver the satellite out of harm’s way. 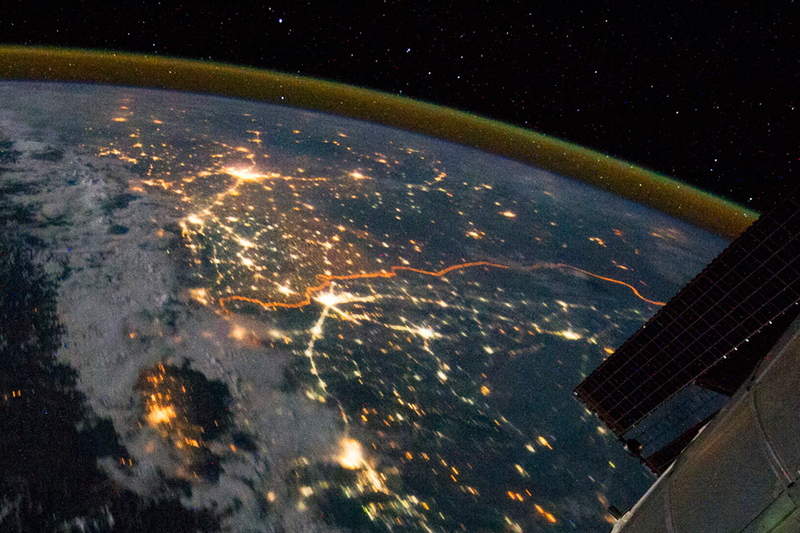 From NASA's Earth Observatory.